The Be Here: Main Street pilot project began in Minnesota in 2016, and it’s there that this story of creative reuse originates. Lanesboro, Minn. – An Open House and Story Celebration for the newly repurposed Historic Lanesboro Phone Booth is taking place at the Lanesboro Museum on Saturday, October 28th from 3 p.m. to 5 p.m. Participants will be able to use the handset to listen to the local stories installed in the phone booth while enjoying refreshments and having their photo taken inside the phone booth by a photographer. There will also be an opportunity inside the museum for the community to record their own place-based yarns, anecdotes, and memories for the museum’s records and future use in the Phone Booth’s storytelling playback device. Community members can also share their own stories by calling 507-881-0051 and leaving a message on a dedicated voicemail box set -up for the project or by using the hashtag #LanesboroMN on social media. 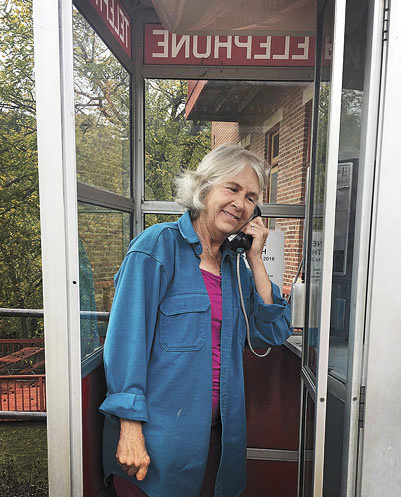 Decommissioned by Acentek, Inc. and donated to the Lanesboro Museum in December 2016, the Phone Booth has been a beloved landmark in downtown Lanesboro for many years, appreciated by locals and visitors alike across cultural lines. Repurposing the Phone Booth is a way for the Lanesboro Museum to give back to the community by preserving and bringing new life to a local icon in a way that incorporates their ideas and stories. The repurposing of the Phone Booth as an interactive storytelling and story collecting exhibit is a continuation of the Lanesboro Museum’s recent story collection efforts, which includes the story circles conducted in partnership with the Minnesota Humanities Center for the Smithsonian Water/Ways exhibition in 2016 and the story circles held in 2017 for the Be Here: Main Street initiative, a pilot project developed through a partnership between the MuseWeb Foundation and the Smithsonian Institute’s Museum on Main Street program. Sandy Webb listens to a story in the phone booth. The initial nine stories installed in the Phone Booth for the Open House and Story Celebration on October 28 were collected in 2016 and 2017 by the Lanesboro Museum as part of those aforementioned story telling projects. Stories featured in the Phone Booth include Glen Nyenhuis’s experience hunting and riding the caboose in Lanesboro, Bonita Underbakke’s memories fishing as a child at Watson Creek, Ann Madland’s reflections on living and working as an artist in Lanesboro, LaVonne Draper’s recollection of a trick played while tending bar, an e-mail message David Hennessey wrote in the aftermath of the 2002 Lanesboro fire, Blake Coleman’s memory of visiting Lanesboro for the first time, Betty Michaud’s tale of being surprised while swimming alone, Yvonne Nyenhuis’s anecdotes about the White Front Café, and Duane & Melissa Benson’s adventure swimming with horses. The Phone Booth Open House and Story Celebration on October 28 is free and open to the public. 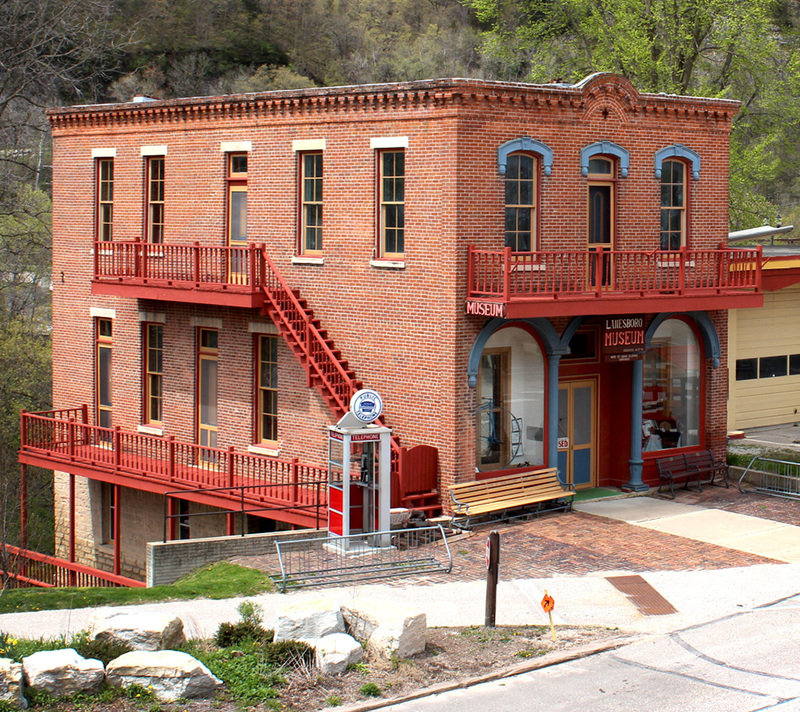 The Lanesboro Museum is located at 105 Parkway Ave S in Lanesboro and can be reached at 507-467-2177. The Lanesboro Museum is dedicated to telling Lanesboro’s story by collecting, preserving, organizing, and displaying our historical and genealogical artifacts. Story Celebration happening Sat., October 28, 2017 at 3 p.m.